Are your employees using WhatsApp? Is mobile messaging taking over an ever-growing portion of your enterprise communications? 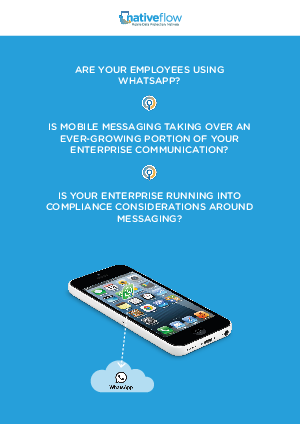 Is your enterprise running into compliance considerations around messaging? Learn about approaches to addressing these challenges so that your employees can communicate on the go and your enterprise data will be protected.